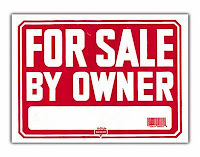 FSBO - Your Advantages and Disadvantages - Why Shouldn't I Try to Sell My Home by Myself? Many homeowners think about selling their home on their own by very few actually attempt it, and you have probably asked yourself, "Why is that?" The reason why is that it is an extremely time-consuming and often exhausting process, especially if you are also working a full-time job. It's my job to take that burden off your back. I am not discouraging you for attempting to sell it yourself, in fact, in some instances I’ll even recommend it to sellers, but before you do it, I want to encourage you to be sure you understand the advantages and disadvantages of each side. The main advantage is that you do not have to pay a commission to a realtor and you will have complete control of the transaction. After giving up on the DIY route, Sambrotto’s decision to hire a broker led to attracting multiple offers, closing for $150,000 over the original asking price. The Wall Street Journal reports the listing sold for $2.15 million including a 6% commission. Below are the advantages and disadvantages of FSBOs. Read it carefully and then make your decision! Of course, the biggest advantage a FSBO is that there's no commission to be paid to a Realtor. You get all the proceeds from the sale, minus any marketing costs you incur. A second advantage is that you have complete control of the transaction. You don't have to rely on anyone else. You're totally independent. A third advantage concerns your equity. If it's low, you have the possibility of selling your home without having to write a check. A fourth advantage is that you don't have to rely on a realtor to schedule showings, answer inquiries, etc. Perhaps the greatest disadvantage is the tremendous amount of time you have to put into the sale. It's a time-consuming process to do all the paperwork, the marketing and advertising, the showings, etc. by yourself - not to mention the hours it takes to get acquainted with all the legal, financial, and other issues. You must be prepared for this. A second disadvantage is the costs in terms of marketing and advertising. If you don't exactly what you're doing, this can be very expensive! We spend an enormous amount of research and marketing dollars to invest in the latest technologies that are not available to the average homeowner. A third disadvantage is that you won't have access to the Multiple Listing Service (MLS). The Multiple Listing Service is only available to licensed Realtors who are MLS board members. Without access to the MLS, you’re left with few options that will actually get a significant amount of potential buyer traffic and can lead to a very inefficient, ineffective, and frustrating process. The fourth disadvantage relates to your knowledge of the market. If you're not knowledgeable about it, you may not price your house correctly. That is, you may underprice it or overprice it. If you underprice your home, you lose money. If you overprice it, you lose buyers. By the same token, if you do find a buyer and you're not experienced at contract negotiations, you could be taken advantage of. In Fairbanks, there are many pitfalls throughout the transaction process that can spell disaster for real estate transactions: home inspection requirements and repairs, specific lending requirements, challenging appraisal processes, well and septic inspections, etc. A fifth disadvantage relates to a belief of some buyers. They believe that since you're selling the house by yourself and not paying a commission, then they're the ones who should get the savings instead of you! There is also a perception that if you’re not using a real estate professional, you may be hiding something with the home and that’s not the perception you’d want to convey. My Advice: Do your homework before considering selling your home by yourself! And, if you do decide to go the FSBO route, be fully prepared in all aspects of home sales! If you'd like more information and advice on selling your own home as well as my real estate services, contact me. A guy who works with me who is also a broker told me about a lady "investor" who mnoeinetd to him yesterday that the two investment homes she bought for 330k less than 2 years ago, the same model is now being sold by the builder for 250K. And the subdivision is less than half built out! And she could only rent those for 1300 and 1400/month, when she had wanted 2000. And get this: she now has a third rental, because she is moving out of the third house she bought to live in back then to move into a new one she closed on for 500K from the same builder just 3 days ago! I am going to get an address for these so I can see if she has mortgages, or if she is just independently wealthy and can afford to throw her money away.